Paul Nelson, Fire Chief, Port Neches (TX) and am submitting my name for a Board of Director – At Large position in the upcoming elections. If elected, I bring over 30 years of experience in the health and safety field from a wide range of occupations and professions. This experience includes a BS in Occupational Safety and a MS in Industrial Health. I have worked as both a safety professional and industrial hygienist in foundries, automotive industry, national laboratories and refineries, in addition to the fire service. Additionally, I have served as Region V Advocate for Everyone Goes Home from 2011-2015 and currently as a Texas Advocate. I also served as Western Director for the Fire Department Safety Officer’s Association from 2011-2014. 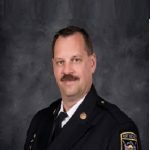 Furthermore, I helped organize and chair the Safety Section of the Wisconsin State Fire Chief’s Association (2008-2014) and serving as Association President from 2014-2015. These experiences have provided me the opportunity to participate in other activities, such as the Tampa II Conference, where I helped with the Company Officers breakout. I have taught numerous Courage to Be Safe Courses, LACK and FDSOA ISO and HSO courses. I am also an adjunct instructor for the University of Wisconsin-Oshkosh and teach safety courses in their degree program. Thank you in advance for your support in the upcoming election for the SHS Section. I feel that I can be a beneficial asset to IAFC and to the fire service as part of the Board of Directors.